ATTENTION owners of European spec FD's!!! 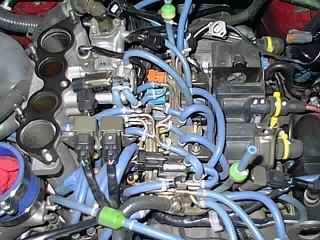 The Euro cars differ from the US and Australian models not only in the missing EGR valve - contrary to common belief. 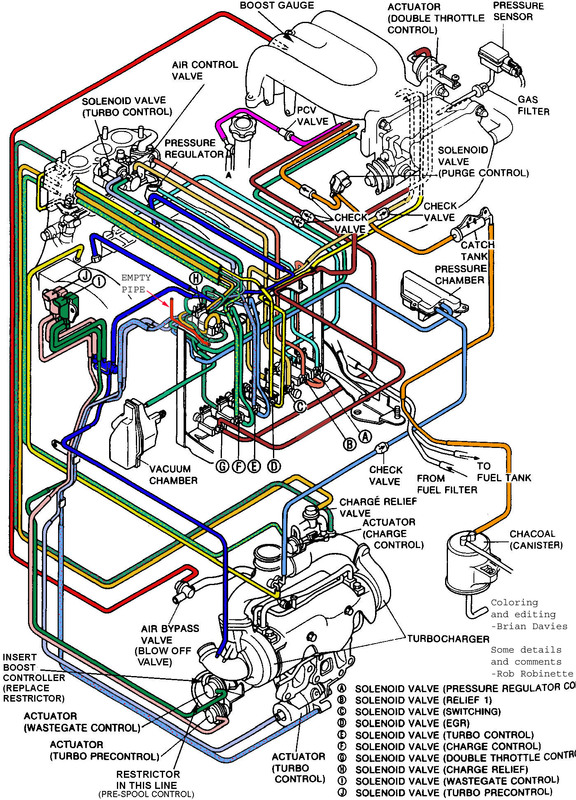 The relationship between fuel pressure and manifold pressure is controlled differently. 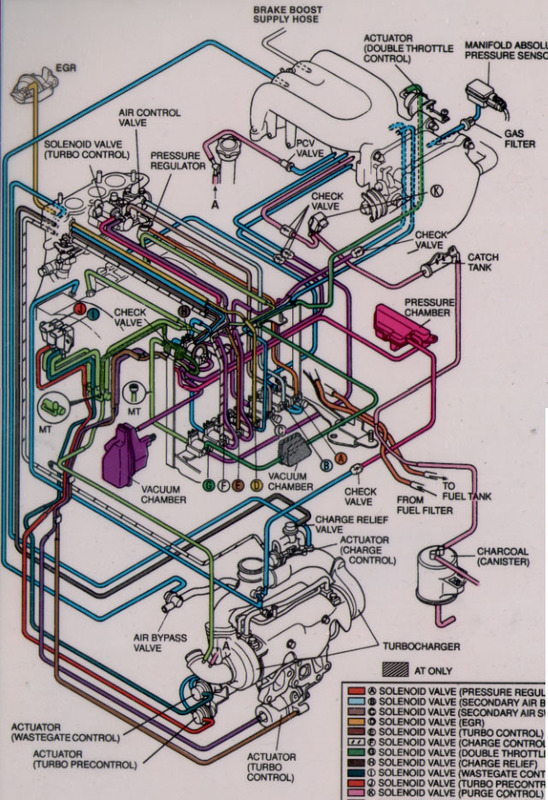 So, ladies and gentlemen, when troubleshooting Your control system or when doing the famous vacuum hose job, make sure You reference the vacuum hose diagram from the European workshop manual - NOT THE ONES FOUND ON VARIOUS US WEBSITES (including Steve Cirian's excellent one). Okay -- here's the last installment of the Great Vacuum Hose Replacement Adventure, subtitled Pitfalls In What Looks Like A Fun, Easy Project. It's a lot tougher than it looks. It is a mistake to take this project lightly. Be prepared to have your car off the road for a while. Also, be prepared to do all the damn hoses, because the two that need replacing the most are also the most devlish to get at. Make sure you have plenty of hose -- 30' of the 4mm for sure to do all the replacements in the engine bay. Subassemblies that need to come off the car to do the whole job: intercooler intake pipe/throttle body/extension manifold; air control valve (on the intake manifold below the extension); air pump; alternator; ignition coils in their mounting tray; and the solenoid rack (have I discouraged you yet?). the hose on the back of the pressure regulator control solenoid (the solenoid closest to the firewall) which dives down, makes a short turn and connects to a pipe on the block. a hose that comes off the hard pipe right above the secondary air bypass valve (the solenoid second-closest to the firewall) which dives down out of sight and connects to a vacuum actuator below the solenoid rack. The last one is a 6mm hose that comes off the downward-facing elbow on top of the turbo. 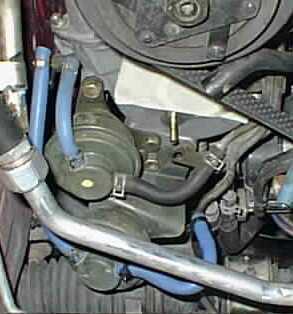 It tucks behind a short water hose and heads back along the top of the engine well below the solenoids, then turns sharply downward and connects to a pipe on the engine block. The real trick in this whole process is removing the solenoid rack. It is held in place by four short phillips-head screws at the front and three at the back. They are also secured by a medium-strength Loctite-type material. You will only get one chance to get these screws out properly. If your screwdriver bit cams out of the screws and strips the heads you will be one unhappy camper. Use the proper size screwdriver and make sure that you're putting a lot of pressure DOWN on the screw head as you're turning in order to prevent cam-out or slipping. I used a regular screwdriver on the front four -- easy because the alternator was out. On the rear three, I used a 3/8" drive Phillips bit with a sparkplug ratchet, which allows the handle to gimbal around the drive head. This allowed me to get the bit straight in relation to the screw heads and angle the ratchet handle out from under the firewall. Here's the bad news: getting the rear screws back in is actually harder than getting them out. It may be too late now, but the solution to that problem was described by Rob Robinette. Basically, you use a phillips "socket" on a ratchet. Using this method, you can hit the screws straight on, and it it much easier to both apply pressure and turn the screw than it is with a screwdriver. But... you may have already stripped them too much for the easy method. I suggest now that you try to grab the screw head with a small pair of Vise-Grip pliers. Clamp them on and turn to break the screw loose. Once it is loose, you should be able to use a screwdriver or phillips socket to get them out the rest of the way. I replaced several of these fasteners with little hex head screws ("bolts") to make it easier the next time if I ever had to do it again. I got little stainless screws with 8mm heads. I don't mean Allen heads, but just regular hex heads like your average bolt. I had this same problem when I did the hose job. What I did was unbolt the rack from the top of the motor: If you look at the solenoid rack, the screws that you are trying to remove attach the rack to a bracket. This bracket attaches to the top of the motor with a few bolts (4 if I remember right). You can remove the solenoid rack by removing these bolts instead. >the silicone vacuum hose upgrade on my '93 VR touring. >suggestions? Do you think it is safe to drive? It's probably your Air Regulator Valve (located UNDER the Intake manifold extension). There is a little disc bypass valve that can slip down when reassembling the ARV. I read about it on http://robrobinette.com/hoses.htm down the page from a lister CHRIS DAVIS (search for his name in the page or scroll down). This is more than likely your problem.